Last Monday I listed the fresh hop beers I had tried so far, and promised more updates along the way. I thought I might be able to pull off the stunt of trying a different variety each day, but Monday and Tuesday already fell through for me. The earliest beers came out much sooner than the parade of them that is starting to emerge now. 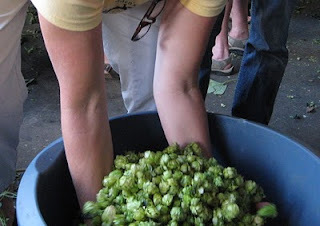 I think there are enough things out now, that if I can schedule things right, I should be able to keep a streak going now for a couple of weeks, maybe until the Portland Fresh Hop Tastival Oct. 9. Remember, if you see a fresh-hop offering that's not on the Fresh Hop Map, drop me a line so I can update it. I had complained that the Fresh-hopped Mirror Pond was not as good as last year's, but I have to take that back. I tried it again Friday, and it was just how I remember it. I don't know which of us -- me or the beer -- was having a bad day when I first tasted it, but I'm back on board with saying it is the most important beer you will ever taste in your life. People have been raving about the hard-to-find Pelican Elemental. I don't get it. It is a solid beer, with unmistakable fresh-hop goodness, but it has a few too many other flavors going on to make it into my first tier. Instead, I would seek out the Lompoc Crystal Missile, which is a light, easy drinker just perfect for showing off what we like about these fresh-hop ales. It reminds me of the first of these that I tasted a few years ago. The McMenamins Thundercone I tried at the Crystal was not bad. A little light on the hops, but they had the idea. McM's threw a curve ball at my plans to keep the Fresh Hop Map complete: this beer was brewed at every McMenamins brewery, and is served at every pub. Well, after adding two of the locations to the map, I realized I wasn't going to cover them all. If you taste a batch that was especially fine, contact me and I'll add that location to the map. Why do I put "all dried hops" next to some of the beers to avoid? Why not just leave them off the list? Because these beers are promoted as Fresh Hop Beers. Oh, the hops are "freshly dried", but they're not "wet hops". That is ridiculous. If you go to the grocery store and ask for fresh parsley, or fresh ginger, or fresh garlic, they will point you to the produce aisle. Try telling them you don't want wet parsley, you want fresh-dried parsley. And by the way, where is the wet ginger? I'm making a stir-fry, should I put in dried garlic, fresh garlic, or wet garlic? Hopworks is selling "fresh hop beers" brewed with 100% dried hops. Gosh, maybe we better go over their food menu. Hmmm... that fresh romaine lettuce, is it wet lettuce, or fresh-dried? What about the fresh spinach and fresh basil -- are you sure those were dried freshly at the farm? I'm not sure about the fresh cucumbers on that salad, is it possible to get it with wet cucumbers? Don't fall into this trap of talking about "wet hops". Those are fresh hops. All other hops are dried hops. Calling dried hops "fresh" is pure deception. Today is the fall equinox, and it marks the first anniversary of the Portland Beer Price Index. A few more quarters, and then we'll really have some data. Please remember, this is not a rant about how expensive beer is, it's just a project to watch how prices change over time. Click here for a full explanation of the PBPI. On the retail side, the "normal" prices are about the same as the Summer 2010 figures. The "sale" prices look like they're wildly swinging, but if you look back over the last couple of surveys, you could interpret it that they're just returning to prices they were at in earlier surveys. 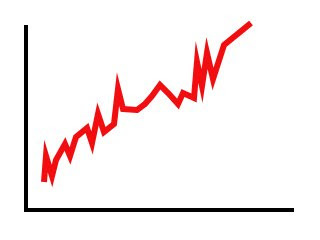 In the past two PBPIs, bomber sale prices had fallen 12 cents; now they're up 11. Mainly this continues the trend of very few bomber prices being marked down. The six-pack sale price simply undoes the 12-cent rise from last time, when surprisingly few sixers were on sale. On the pub side, prices are creeping up. I think the happy hour price would have been up more, except Hopworks' happy hour is at a 75-cent discount, while last time I had it at at 50 cents. It was probably my error, since it was 75 cents the time before. There is one problem I have to fix. Pelican IPA has now gone two quarters without being available at Fred's or QFC. A beer and wine guy at Fred's told me it is because they now self-distribute. This quarter I just used the historical price for those two stores, since its price hadn't changed at the other two stores, but I have to find a replacement. You guys helped me find QFC to replace the lame selection at Safeway: now help me find a replacement for Pelican. I would like it to be something outside of Portland, with wide availability, and something a little on the high end of the price range, like Pelican. I had been considering Oakshire and Heater Allen, but I think Oakshire is too reasonably priced (thanks!) and Heater Allen may not be available at all four retail places. Maybe Beer Valley Leafer Madness is a good replacement? Other ideas? Look for the next index around Christmas. Some years I try to keep up a streak of tasting a different fresh-hop beer every day while they're out. I'm going for it this year, but it already has some gaps. Maybe I started a little early, but I try and soak it up while it's available. Anyone have an idea for me for today? I don't have anything on the radar, so if you know of something available today that's not on this list, let me know. First let me give you a few recommendations from what I've tried so far. Last year when I boastfully listed all the fresh-hop beers I had tried, Jeff Alworth asked a very reasonable question: "Which ones were good?". Now, almost every one of them on my list was a beer I would have again. Some of them were fantastic. However, many of them -- even some fantastic ones -- failed to really show off the distinctive flavor of green un-dried hops. This year I want to lump the beers into three categories: those that nailed the fresh-hop flavor and must be tried immediately; those that have a nice fresh-hop flavor but won't knock you out of your chair; and those that should not be allowed to distract you during this holy time of year. I usually am not very impressed by Sierra Nevada's Harvest, but I think they did a good job capturing the fresh flavor this year. And yes, it uses un-dried hops, unlike their Southern Hemisphere Harvest, and unfortunately unlike Hale's Harvest Ale, which the brewery has told me uses "FRESH dried" hops. I feel an Honest Fresh-Hop Project coming on. Nevertheless, Hale's is a robust, malty, hoppy delight, and it comes in six-packs. Good thing to have in the fridge this time of year. Anyway, this is a work in progress. Next week I hope to have more recommendations as more beers come out [Update: click here for the second report]. And remember to check the Fresh Hop Map for where to find stuff. I'm going to milk this month of fresh hops for all it's worth. Partly because I love fresh-hop beer; partly because I don't have time to generate original content for you. I sense the level of confusion rising between fresh hop (freshly dried hops) and wet hop (freshly picked hops). Some people might be confused about this, but those of us who have tasted the delights of Fresh Hop beers are not confused. Hops that have been dried are not fresh. What the hell is a "wet hop"? A hop that slipped and fell in the bathtub? A hop that got rained on? 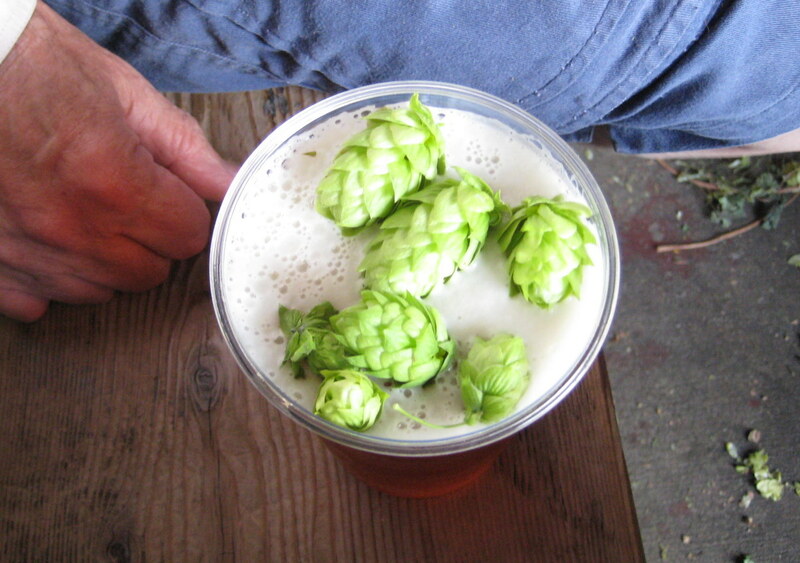 If you've ever touched a hop on the vine, it's not wet, in fact it's kind of papery and rough like a cat's tongue. But it isn't wet like a fresh tomato or a fresh berry. If there's any damn confusion, it might stem from Sierra Nevada, who promotes their Southern Hemisphere Harvest thusly: "the fresh hops in this beer are dried right after being picked" (emphasis mine). Are you kidding me? Do you consider beef jerky to be fresh? Dried apples? Evaporated milk? Powdered garlic? Let's put this another way: what other dried item do you think of as fresh? Fresh hops have not been dried. Accept no substitutes. More ranting at the bottom of this post. We're getting into that wonderful few weeks when the fresh hop beers start rolling out. I've been so patient waiting for them this year that I have only asked one establishment -- Deschutes -- if they have it on tap yet. And I haven't even made it over to Full Sail to try this year's Lupulin -- an annual favorite -- but I will remedy that very soon. Click on the thumbtacks to find out what and where the beer is. I think I'll start with green thumbtacks, and if a beer runs out I will change the tack to red. Please help me fill it in! If you see a fresh-hop beer on tap around town, leave a comment, email me, or tweet me (@itspubnight). Feel free to comment on how you liked the beer, I'll add some of that to the entries on the map.